Your website is an essential part of your business, it is important to give it the attention it deserves. We repeatedly see good website design deliver excellent results for businesses which would previously have wasted a lot of time and money on ineffective marketing. Read the report below about the 11 essential elements we have seen work magic on our client’s websites. We mention conversion tracking up the top because it’s so often neglected, yet it’s one of the easiest strategies to implement. It is vital to know how many enquiries and sales that you receive through your website, where those website visitors come from and what the cost is to acquire them. This allows you to accurately measure your marketing spend, evaluate the success of any improvements or modifications in your website design or online marketing, and ultimately measure the underlying success of your website. Any good website designer will be able to assist you with tracking your conversions. If your website is built around a visitor’s objectives and point of view, it will encourage their interaction and improve your conversions. Ask yourself ‘why did they come to your website in the first place?’ What questions are they hoping to answer on your website. Try and see your website from their perspective to create an experience that anticipates their needs and delivers the right solutions, and make sure your web designers are looking at the design from this perspective as well. You need to make it easy for visitors to access the content they need, whether it’s contact information, product specifications or prices. At its highest level, user experience is about providing what your prospects need before they even know they need it. Along with creating a beautiful website design, your web designer will be experienced in the ways to improve your website’s user experience. A great web design company will be your partner in implementing everything we’ve discussed. You don’t have to know how to write, design or market your website. You’ll save time in the short-term and money in the long-term. Before hiring a web designer, ask how well they know these essential elements, how they propose to incorporate them and how they’ve succeeded in the past. Use a critical eye when checking out their website. Look for experienced website designers that are well established and that have comprehensive histories and portfolios of working with similar businesses to your own. By partnering with the right web design company you are putting yourself in the very best position to ensure that your website is a successful one. 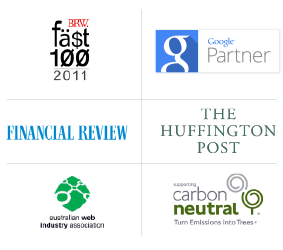 Magicdust offers Brisbane, Melbourne and Sydney web design and web development services. Finding a web design company with experience and a focus on local and personalised service can be a challenge. 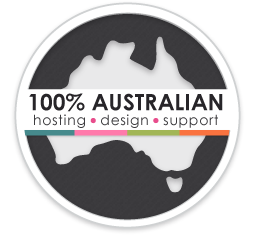 With our team of onshore technical support, web design and web development, we’re able to provide a quality service that is 100% owned and operated in Australia. We have experience with value led online solutions and can provide a local service with web design offices in Sydney Melbourne and Brisbane.